Are you beginning to feel like you’re never going to find the right Katy TX Women’s Self Defense Class for you? Maybe you’re trying to learn how you’re going to defend yourself in the event of an attack but you don’t know how. If you’re trying to figure this out but you’re beginning to have some doubts, know that Tiger-Rock Martial Arts can help you. Our team of experts is here to provide with the classes and services you need to succeed. Read more to learn about what we can do to assist you with the struggles you go through. Striking and kicking is only one part of our service. Are you beginning to feel like you’re never going to increase your cardiovascular health? If you’re worrying about stamina and endurance but you’re not having much luck on your own, we can help. 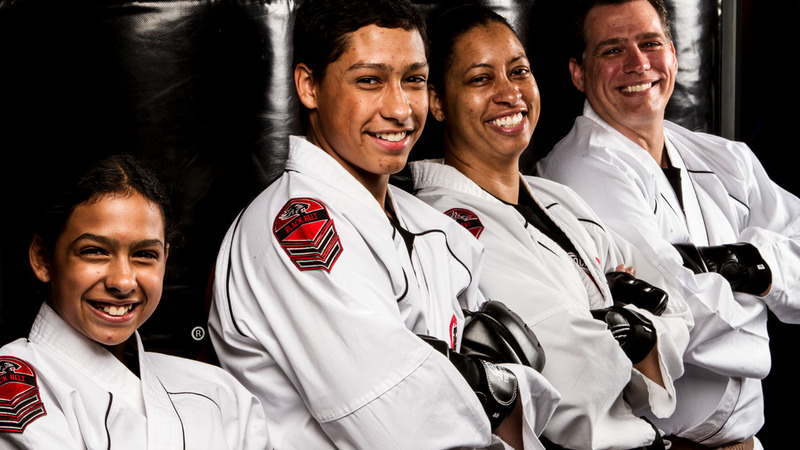 Did you know that martial arts are one of the best ways to increase your cardio capacities? If you’re noticing that you’re becoming easily winded after mundane tasks, this is a great place for you to be. We’ll help you improve your endurance and become a healthier person. Increasing your lower and upper body strength is something that everybody wants to do, but too few of our students reach this goal. Being physically capable is extremely important if you’re trying to ward off an attacker. While strength isn’t everything, you’re going to need a certain level of fitness to properly defend yourself. Make sure you have this by enrolling in our martial arts programs. We can help you build the physical capabilities you’ll need to defend yourself if an attacker ever approaches you. Our experts are going to push you so you can become the best possible defender in the event of an attack. We understand that you’re taking this class because you want to be prepared for real-life combat scenarios. As a result, count on our staff to put you in situations that will help you hone your skills and react quickly. Mastering these courses will take a lot of hard work, commitment, and patience, but it is more than worth it. You will experience an incredible sense of peace as long as you fully commit yourself to a program like this. We know how important it is to get the most out of a class like this, and we’re here to support you every step of the way. In addition to the many physical benefits of a Katy TX Women’s Self Defense Class, the mental benefit cannot be understated. Are you beginning to notice that you’re not as mentally strong as you’d like to be? This is something that both men and women go through, but we’re here to help you. You might feel like you’re unable to get the most out of your mind, and we know how to help you unlock the potential within. We’ve got a great way to improve your discipline, confidence, and mental toughness. Discipline is something that nobody can put a price on. Are you beginning to feel like you’re never going to reach your goals and you’re growing increasingly discouraged? Maybe you’re having lapses in focus and judgment, and you’re beginning to feel hopeless. If so, we can help. Women deserve to feel confident when walking home late at night, and you have every right to build your confidence. If you’re trying to protect yourself in the event of an attack, starting with a self-defense class is the best choice you can make. Not only will you develop the skills and techniques you need to succeed, but it will also improve your confidence. Our dojo has competitive rates that keep up with the other places in our area. If you’re trying to save money while also finding the best classes and resources, Tiger-Rock is the place to be. We understand how to give our students the best possible services without charging them an arm and a leg. Make sure you ask us about our introductory course package. Furthermore, we also will not lock you into a long-term contract. This is not the way to master martial arts, and we have flexible schedules for our busy students. Tiger-Rock is ready to help you transform into a martial arts master! Are you a fan of competing against like-minded individuals? Maybe you’re looking for a dojo that can pair you up for frequent sparring matches against other students who are mastering martial arts just like you. If so, TRMA has a great solution. Did you know that we have regular nationwide tournaments for our students? If you love healthy competition, contact our dojo for more information about this program. We can make sure you have all the info you need to sign up. We’ll push you towards success, and we think to believe you’ll improve and learn regardless of the outcome. Finding a Katy TX Women’s Self Defense Class is something that is absolutely critical. 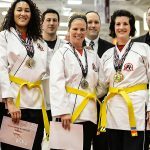 This should not be taken lightly, and it’s absolutely imperative that you find a dojo that helps you achieve your goals. If you’re trying to figure out a better way to defend yourself but you don’t know where to start, reach out to our dojo. 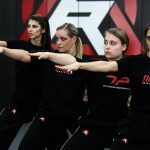 We have a team of instructors who want to help each and every female find a way to defend herself. If you’re not sure where to start, contact our representatives for more information. We’re ready to help you start your journey and transformation into an independent, skilled woman. Katy, Texas is a quaint city that sits right in the Houston-The Woodlands-Sugar Land area. Our community began after 1845 when James J. Crawford received a grant for this land. Katy began to make real strides once James Oliver Thomas started laying out a town back in 1895. There are plenty of great things to see and do in our city. Why not visit Katy Mills Mall or Cinco Ranch while you’re in town?